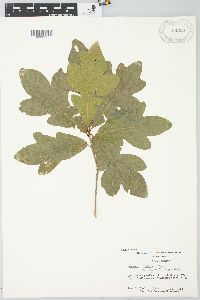 Trees , deciduous, to 20(-25) m. Bark pale gray, scaly, eventually divided into broad ridges. 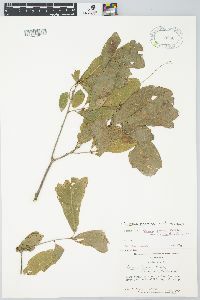 Twigs dark brown to somewhat reddish, 2-2.5 mm diam., often with prominent, corky, white lenticels. Buds dark reddish brown, ovoid, distally acute, 3-5 × 2-2.5 mm, puberulent. 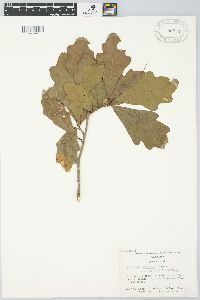 Leaves: petiole 3-5 mm. 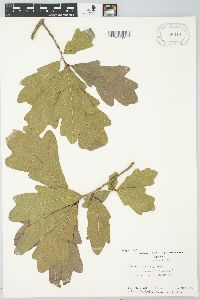 Leaf blade green or grayish green, narrowly obovate or elliptic, (40-)70-100(-200) × (13-)30-50(-115) mm, base cuneate or attenuate, margins sinuately and irregularly shallowly lobed, lobes rounded, sometimes obtuse, secondary veins 4-6(-8) on each side, apex narrowly or broadly rounded; surfaces abaxially loosely covered with semi-erect stellate hairs to 0.5 mm diam., glabrous at maturity, often with a few hairs remaining along veins near midrib, adaxially glabrous, glossy. Acorns subsessile or on stout axillary peduncle to 15 mm; cup hemispheric or deeply goblet- or cup-shaped, 9-10 mm deep × 10-13 mm wide, enclosing 1/3-1/2 nut, scales loosely appressed, gray, narrowly ovate, sometimes thickened near base, not tuberculate, canescent; nut ovoid or elliptic, 17 × 12 mm. Cotyledons distinct. Flowering spring. 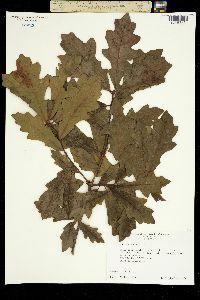 River bottoms, wet forests, flatwoods; 0-200 m; Ala., Fla., Ga., Miss., N.C., S.C. Quercus austrina is probably the most misunderstood oak of the southeastern United States. 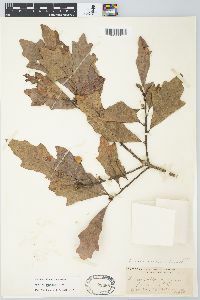 Although the species is fairly widespread, it is apparently abundant only in local areas and is poorly represented in herbaria. 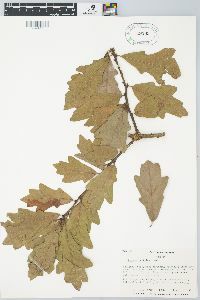 This may be partly because Q . austrina is often misidentified as Q . sinuata , which it superficially resembles, or as Q . nigra , a red oak with similarly shaped leaves. 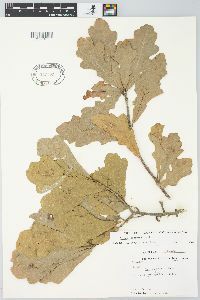 It is easily distinguished from Q . sinuata by its larger, more acute buds; darker twigs; deeper, turbinate acorn cups; and absence of minute, appressed, stellate hairs on the abaxial leaf surface. 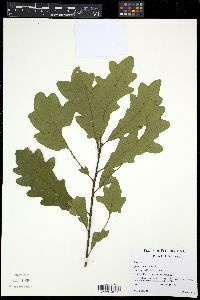 Instead, Q . austrina has a tomentum of soft erect hairs on young leaves, and glabrate mature leaves.